The 35-year-old half back spent three years at New Orleans between 2011 and 2013 before leaving to join the Eagles and becoming an integral part of their setup. “He’s one of the smartest players that we’ve ever coached here,” Payton said about Sproles. “What I mean by that is rarely on the field does he ever do something that surprises the quarterback. “He’s got a great feel for the passing game. “He’s got very good instincts as a runner and I think his preparation – you might have a walkthrough but it isn’t really a walkthrough for Darren. Sproles’ season has been plagued by injury and after suffering problems with his hamstring in practice after Week 1 he has also faced setbacks to his recovery. This season he has been limited to six games for 120 rushing yards for a single touchdown on the ground, while also picking up 160 yards from 15 receptions and two touchdowns from the air. But the punt-return specialist isn’t making a song and dance about his return to New Orleans. “Just ready to get there,” Sproles said. “It’ll be fine. We’re going to be fine. Sproles admitted there were times when he had doubts about his recovery and was unsure if he would even be able to put on his pads for an Eagles playoff run. “Yeah, you know, it comes across your mind but I’m back now though, so you’ve got to stay positive,” he said. The three-time Pro Bowler managed just 21 rushing yards in the Eagles Wild Card playoff game in Chicago and is expecting another tough battle on Sunday. 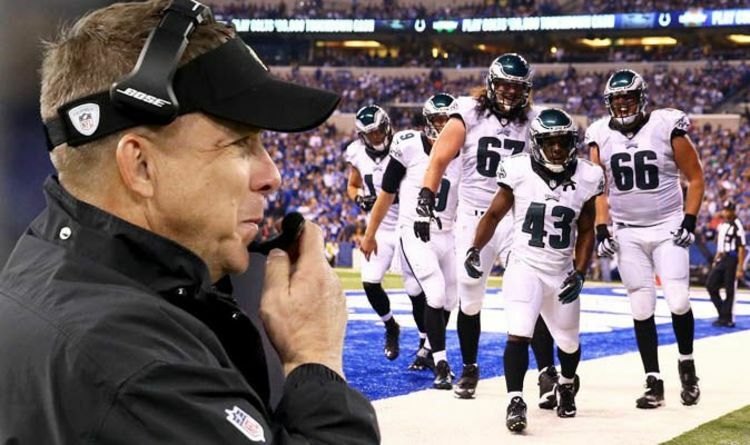 “Their defence is fast, physical, they make a lot of plays,” Sproles said about the Saints. “We will go watch the film and stuff of last week. “The thing is last week, they were real stout in the middle. So, with our runs, we can’t be too fast with our cuts.